Most people I meet with come in saying that they want to file a Chapter 7 bankruptcy. This is because Chapter 7 bankruptcies are much shorter than Chapter 13 bankruptcies, averaging about four months before the debtor receives his or her discharge. Chapter 13 bankruptcies last from three to five years and require monthly plan payments to a bankruptcy Trustee. So why would anyone want to file a Chapter 13 bankruptcy? Below are the top five reasons to choose Chapter 13 bankruptcy. In some cases, a vehicle or other secured loan can be reduced to the value of the collateral. This means that if the loan qualifies, the debtor can pay reduced fees and interest. The catch here is that the vehicle had to be purchased more than 910 days prior to the filing of the bankruptcy case in order to qualify, and you have to actually finish the case and receive a discharge in order for the cram down to be effective. Sometimes debtors own property with equity that cannot be protected with the available exemptions. For example, let’s say debtor owns a car worth $10,000.00 with no lien. Let’s say that the debtor has a vehicle exemption he can apply towards that equity in the amount of $3,000.00. This leaves $7,000.00 of unprotected equity. In a Chapter 7 bankruptcy, the Trustee would ask the debtor to pay the $7,000.00 in order to retain the car, or in the alternative, would sell the vehicle to obtain money to pay creditors. In Chapter 13 bankruptcy, the debtor is allowed to retain the vehicle, but will pay that $7,000.00 to general unsecured creditors over a period of three to five years. Creditors are often unwilling to work out a payment arrangement, and would rather obtain a judgment against you and garnish your wages. A Chapter 13 bankruptcy allows a debtor to propose a repayment plan over a three to five year period of time, with payments based upon your ability to pay. During this time creditors are not allowed to take any collection action without permission of the bankruptcy court. Individuals who have fallen behind in mortgage payments and are facing foreclosure should consider a Chapter 13 bankruptcy. Filing Chapter 13 bankruptcy will stop a foreclosure sale and allow the debtor to catch up on past due mortgage payments over a period of time. A lot of individuals have more than one mortgage against their home. These second and third mortgages can potentially be stripped in a Chapter 13 bankruptcy. Liens can be stripped when they are wholly unsecured, meaning there is no value to secure them. Here is an example: You own a home and have a first and second mortgage. The first mortgage is for $200,000.00. The second mortgage is for $50,000.00. The value of the real estate is $190,000.00. In this scenario, the second mortgage would be eligible to be stripped because there is no remaining value in the collateral securing the loan. Choosing between Chapter 7 and Chapter 13 requires careful deliberation. An experienced bankruptcy attorney can help you determine which Chapter is right for you. Are you in the St. Louis metropolitan area and considering bankruptcy? 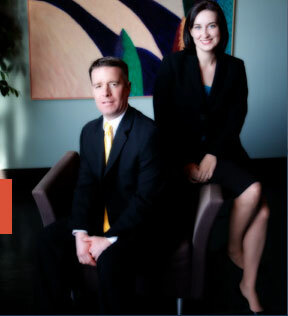 Contact a St. Louis bankruptcy attorney to learn more about your options.